Physical Training & Mentoring Programs For Defence Force Applicants & Army Reserves. At The Barracks Gym, we offer specialist fitness coaching and mentoring for women hoping to join the armed forces or in the Army Reserves. 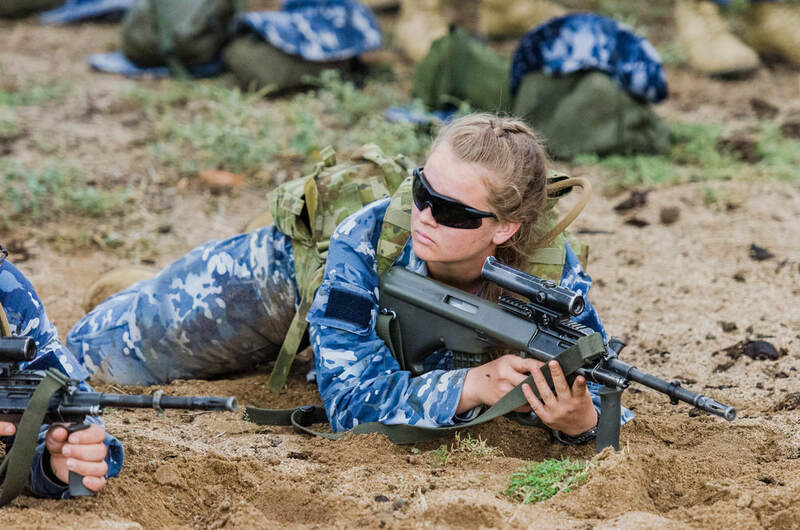 For many women wanting to join the Australian Defence Force, their inability to pass the military beep test or perform push-ups holds them back from achieving their dreams. ​Unlike many other personal trainers, our highly skilled team know how to teach the correct method for performing push-ups, making this exercise easier and more achievable. Our highly skilled trainers also know the best training methods to ensure that the bleep test is passed with flying colours. Experience what group training can do you for you first hand. Get a free week of group training, learn how to maximise your workouts and get advice specific to you and your fitness goals. If you choose to work with us, that's great. If not, that's cool too. At The Barracks Gym, we are able to offer a specialist service that can be tailored to each individual’s personal needs. We understand that passing the pre-military fitness tests is not always easy, which is why we have a range of methods in place to help make building fitness easier. Not only do we offer fitness building methods, we also offer coaching, to help make the process of passing your military fitness tests that little bit less stressful. Due to the team’s background within the Australian Defence Force, we are able to offer a unique approach to pre-military fitness. We understand what it takes to pass the pre-military fitness tests because many of our team have taken them themselves. The military-based knowledge combined with qualifications in coaching and personal training allows The Barracks Gym team to offer the most relevant and up to date training programs in the country. Failing to land a career in the military due to not being fit enough can be devastating, our team knows this all too well. Often, many women don't believe that they can do it and hat mind-set limits their performance on the tests. After working with our team, you can not only improve your fitness levels but also your self-esteem and confidence. You will walk out onto that field for your fitness tests feeling confident that you can and will smash them. At The Barracks Gym, our mission is to help, encourage and support women wanting to join the military but who are struggling to achieve the high levels of fitness required to do so. ​Our friendly, experienced and highly skilled team can help to ensure that every woman we have come through our doors, goes on to achieve their goals.